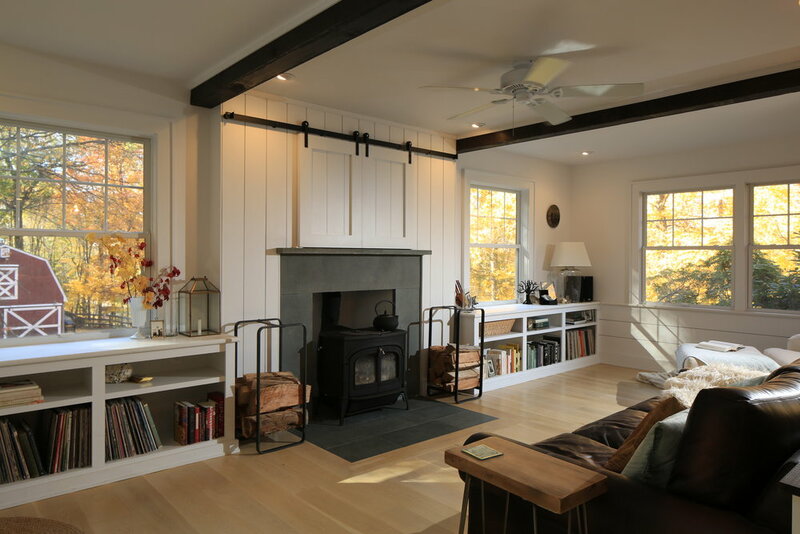 Twilight in Putnam — Jeff Wilkinson, R.A.
A New York City professional couple wanted to create a light, airy retreat in their newly purchased first home in New York's Hudson Valley. We started the project by opening up the enclosed first floor spaces. The kitchen and dining area were combined and a dark, narrow entry hall was opened to the existing living room. 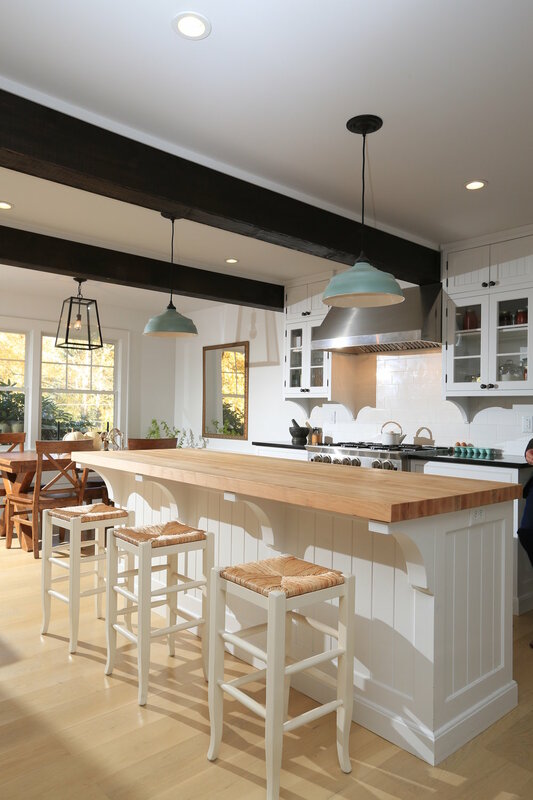 Painted white wood walls, light colored hardwood floors and rustic wood combine for a modern farm house feel. In the living room, two new windows flanking the fireplace were added to bring in more light and built-in cabinetry under them was designed to accommodate the owner's classic vinyl collection.